There must have been an issue with the hop harvests last year, at least in the midwest. Nearly all of the fresh-hop beers that I saw reviews of last year seemed a little lackluster and bland. 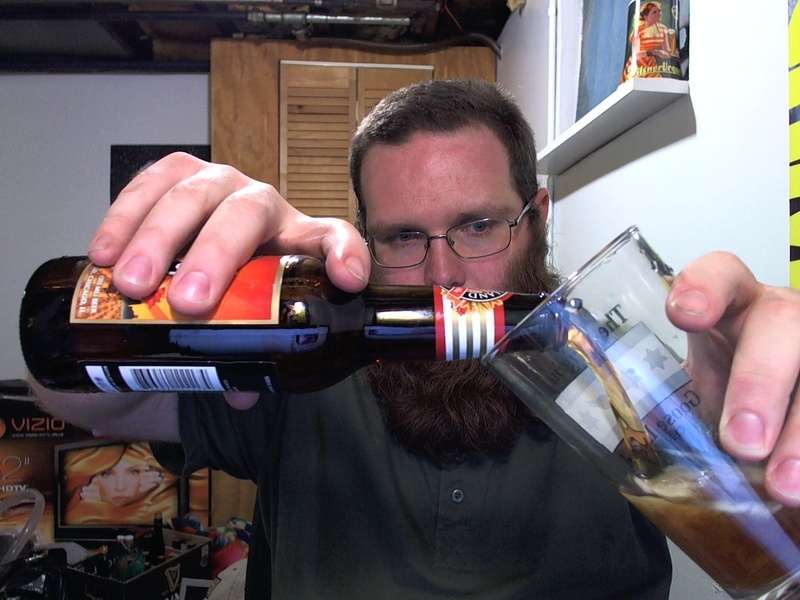 While I ended up giving the 2010 Founders Harvest Ale a B+ overall, I definitely didn’t think it was all it could be. 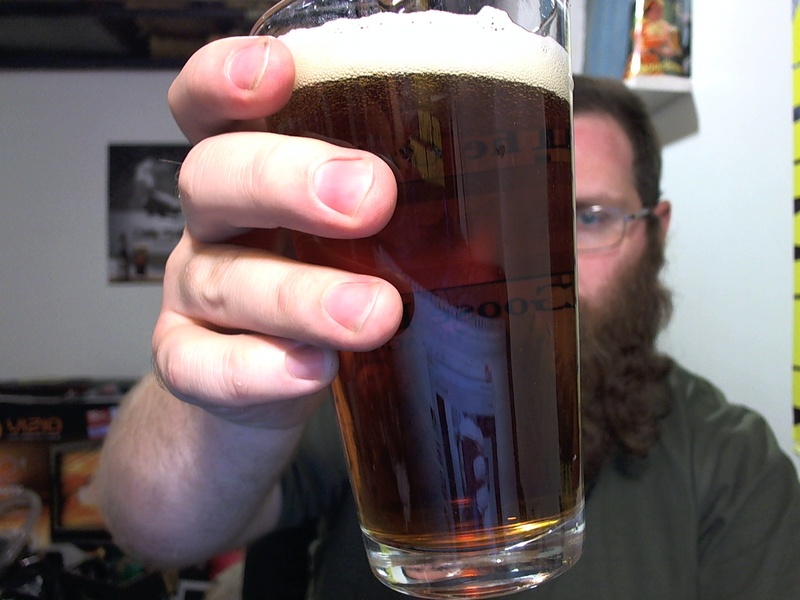 I don’t want to bother shooting another review for this one, but I wanted to give the 2011 a shake. Even just starting the pour I can smell the nice fresh resiny hops. Beautiful floral notes, some nice pine background. Almost like a Christmas tree. I’m more attuned to hops than I was last year, but I suspect it’s definitely a more pungent hop aroma. Ditto for the flavor. A bit more earthy, but with those definite pine and floral resins. Slight golden malt backbone provides just a tiny bit of sweetness, but this beer is definitely a showcase for hops. At 6.5% it’s not quite as big as a traditional IPA, nor is it quite as heavily bittered, but drinking this beer less than two weeks after bottling (bottling date: 09/22/2011) definitely fulfills my hop quota. If the 2010 bottling was a B+, this is an A-, maybe even an A. Ridiculously drinkable as well. Drink it fresh or don’t drink it at all. This is sort of the moment of truth, isn’t it? 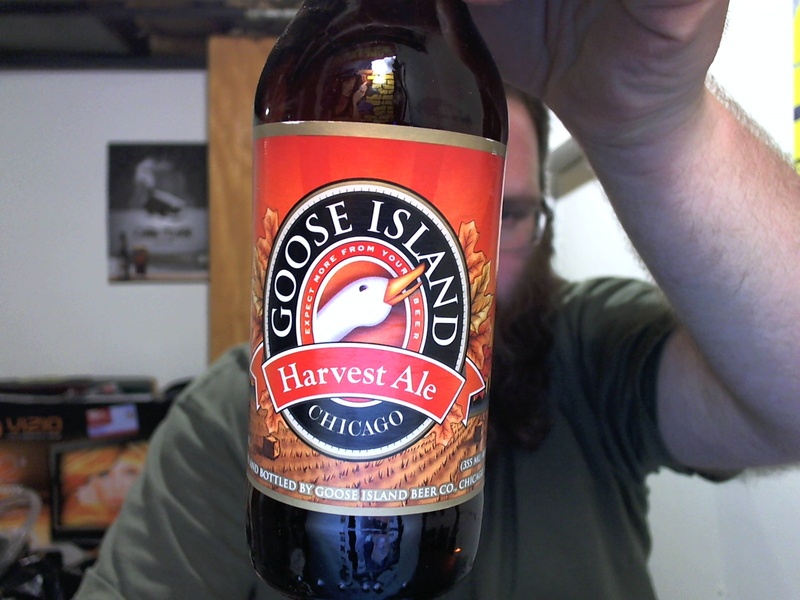 Harvest Ale will be the first seasonal release from Goose Island made since their sort-of acquisition by A-B Inbev. I don’t have a clear memory of what this beer tasted like in previous years, but if it’s a solid ESB we have room to hope that Goose Island’s other seasonalsbourboncountystout!will still be decent. So let’s get the damn thing in a glass and find out! Pours very clear orange/red body with almost no haziness at all. Typically with an ESB you have a bit of haze, but nothing here. 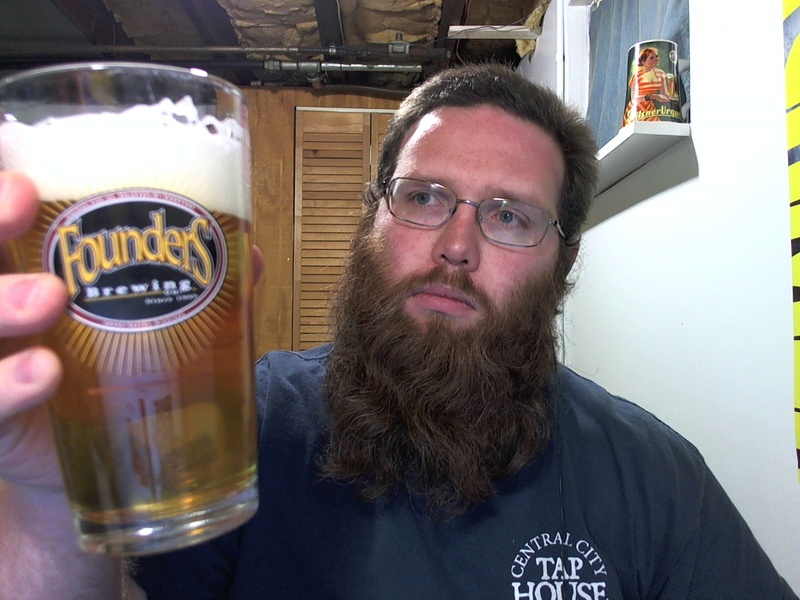 It gives me about a finger and a half of white head that dissipates pretty quickly. Aroma is very English, with lots of biscuity toasty malt and a very dry character. Love to see what this one’s like on cask — I’ll have to see if it’s available next time I stop by the Clybourn location in Chicago. I digress. Flavor is very much like the aroma, somewhat sweet with lots of fruity esters. 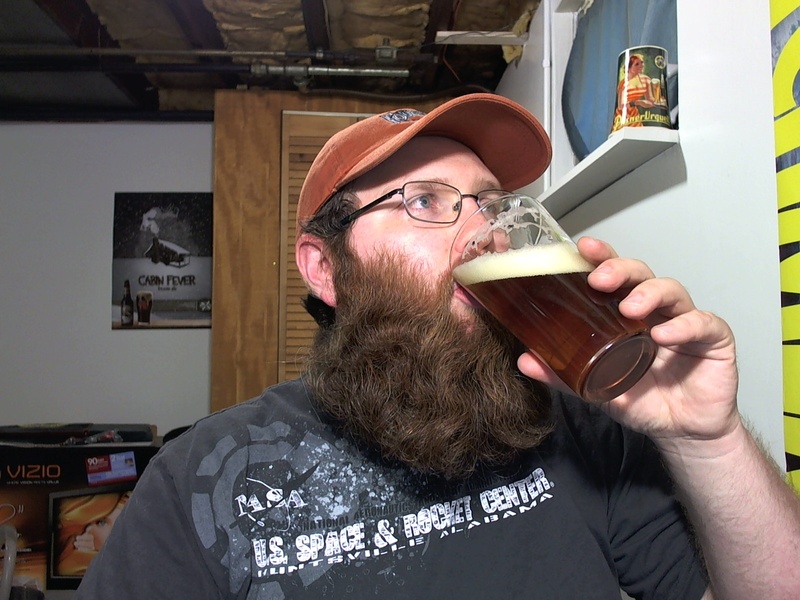 Very malty and toasty, drying on the finish with a hint of spice quality. Aftertaste is clean but biscuity. 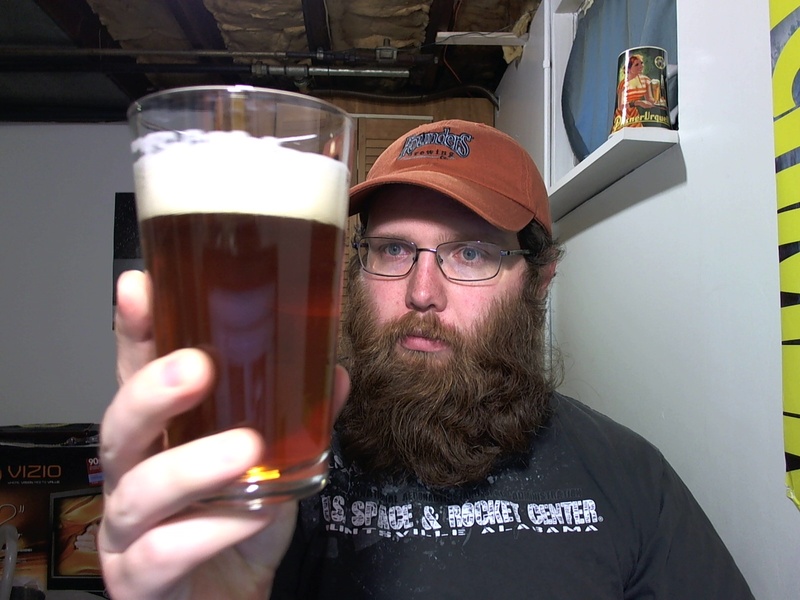 Nothing too complex –certainly not my favorite ESB!– but it’s definitely solid. Tastes like a very authentic example of the style. I’ve got to say, this bodes well for the future of Goose Island. We’ll see how it goes, but for now color me cautiously optimistic.